First it was Google with its World Cup themed page listings, now it’s Twitter’s turn to spread some of the World Cup love to its users. Spotted by TechCrunch, if you head over to your Twitter settings page today, you will notice a brand new theme for you to try out. 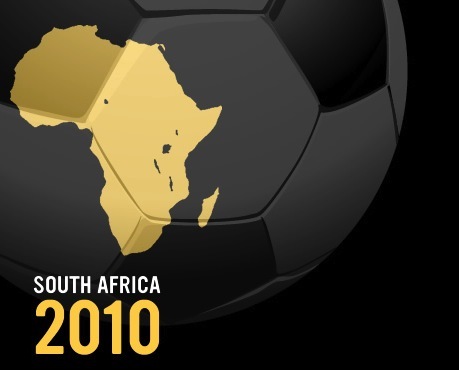 When selected, your profile will suddenly sport a golden map of Africa with “South Africa 2010” written below it. It’s great to see Twitter embracing popular events but part of me thinks it could have been a little more colourful. That said, it’s made me a little more excited about the tournament which starts on Friday. 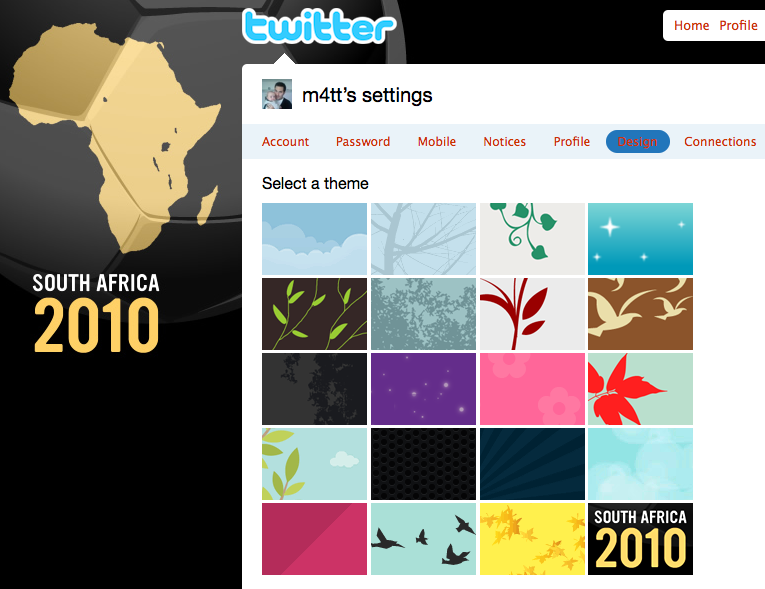 To enable this theme, head over to your Twitter settings here, select the theme and save. Read next: Trada brings crowdsourcing to online advertising.